Back in February of 1999, I attended a fundraiser benefiting a local community counseling center located in Virginia. 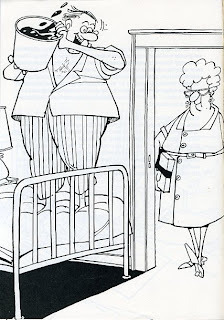 I went with another psychiatric nurse, and we were very excited about our night out on the town because we were going to meet a famous doctor. Little did I know that I would be getting into a war of words with a clown. The event was held shortly after the release of the movie, Patch Adams, and Dr. Hunter Adams was speaking at the gathering. There was a small turnout at the event, and this allowed us to meet Dr. Adams in a small, intimate group. He chatted with each person, and then he approached my friend and me. He was very happy to meet nurses. He said he loves nurse, who doesn’t, right? Then he asked us about our work. When we told him that we worked in a psychiatric unit, he glared at us. I saw rage in his eyes. He snarled, “Psych nurses! So, have you drugged up anyone today?” Then he turned and walked away. We were shocked, and my friend burst into tears. This guy wasn’t like the character that Robin Williams played in the movie, and his comment was a slap in the face. I walked up to Dr. Adams, tapped him on the shoulder, and demanded to know what his problem was, but before he could answer, I asked him if he had been treated badly on a psychiatric unit in the past. He gave me his speech about how love can cure mental illnesses, and then he called me a pill Nazi because I give people Haldol. I stopped and stared at him, and then I started laughing. I told him that he wasn’t the first doctor to call me a name, but he was the first one who had the balls to say something so ridiculous while wearing a clown suit. Dr. Adams goes on to write that mental illness is curable if patients are provided with a loving, creative, and communal environment. I don’t know about you, but I thought much of what we call mental illness had something to do with neurotransmitters. Maybe Dr. Adams would have a greater appreciation of psychotropic medications if he had to care for extremely ill patients on a daily basis. On the way home from the fundraiser, my friend told me that she thinks that Patch Adams is bipolar because he was loud, verbose, and labile. She also pointed out that not too many grown men run around wearing a clown suit. Whatever he is, I just wish he would stop telling patients that they don’t need to take their medications. The pill Nazi has spoken. 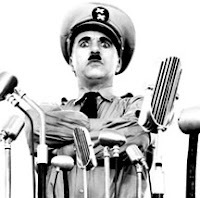 I think I am safer with a pill nazi than Patch Adams. I have to agree with you. Dr Adams comments are out of order. wow, what a turkey, er, I mean a clown! one of my family members is a paranoid schizophrenic with bipolar disorder who definitely needs his meds and is better on them. sounds like ole patch needs a refresher course on the synaptic membrane and the role of neurotransmitters in psychiatric disease? LOL How funny is that? I think he needs to talk to Tom Cruise. They could both go off on a manic spree and tell the world how Phsychiatry is a pseudo science! Greetings from Pocahontas Co, WV. I live just uphill from Adam's Geseundheit Institute. In 1999, people from all over the US were coming here to get help from the hospital they saw in the movie. There's no hospital, and not one person has ever received any medical care from anyone associated with Adams. They did terrify some Alzheimer patients at the nursing home one time (clowns with trombones? ), but that's about it. Adams looks like a con man from our perspective here. Sadly, what he was really saying was that it's the family's fault - they didn't provide a loving environment. Has he never heard of evidenced-based medicine? Me thinks Dr Adams hasn't seen the inside of a psych unit.. yet; he's sounds as if he scared, as he knows that if he enters in his clown suit to provide some lovin' care, that he'll never leave... How dare he devalue the work of so many dedicated carers!..And he gives real clown doctors a bad rap.. Actually, I've never seen the movie... Maybe some meds might be in order to help with his disinhibition, rages and mood swings. He sounds like a real pillock. He should check his ego at the door. I was intrigued after watching the movie, and so I did a little research. It seems that he is not the pleasant little clown. Apparently, he is (among many things) a stubborn control freak, a flouter of authority at every turn, and a weirdo who goes way too far with the clown routine. He definitely sounds bipolar, but with "attitude" to boot, maybe even a personality disorder. In fact, many of the people interviewed stated that he was a flat out jerk, and that he lives on the fees from his "lectures"--go figure. Hey, I am bipolar and I am very thankful for MY drugs, thankyouverymuch. I'm not saying that love ain't helpful (and I have a truly fantastic social support system) but that little daily pill enables me to have a life. I agree with those of you that say he sounds bipolar. Not to mention twenty or thirty years outdated in any information he has regarding mental health treatment. I think the biggest problem with all " anti-psychiatry" dostors is the fact that they dont realise psychiatric illness as an "illness", something that requires treatment, of which psychotropics is an essential part. I thought Patch Adams was one of the worst movies I'd ever seen. Good to know that art imitated life in this case. Actually, the scenario you described with Dr. Adams doesn't surprise me at all. Pompous grandstanding windbags in clown suits are like that. Dr. Adams has apparently never worked an 8 hour shift with any psych patients, change in mental status, dementia, ETOH abuse, etc. etc. Was the clown's name Tom Cruise? I have bipolar disorder and I do not take medicine for it. I wasn't advised from Dr. Patch Adams to do it either. It was my very own choice to stop all medications. I was told by concern people that it is a huge decision and could have serious consequences. I have no regrets about going off meds, although I still hear the story of it is a huge consequences that it will catch up to me. The reason why I stopped meds is a long and complicated story. Good Lord. I recently discovered that Patch Adams was a real person as opposed to some character Robin Williams played (I know, I'm a spaz, but hey, I watched it a long time ago) and I was completely taken by his Gesundheit Institute website and project. Being a comedian myself, I've always looked for ways to integrate comedy and medicine, and his vision seemed like a step in the right direction. But I don't agree with some of his views on alternative medicine. And I had no idea they were THAT extreme until I read this post. I can understand how he feels devoted to his art, but a couple of hardworking, nice, devoted psych nurses are certainly NOT where he should be directing his dissatisfaction. I'm still planning to travel across the Atlantic to volunteer at his site, and if whilst there I happen to bump into him, I will certainly tell him what I think of him for being so mean to a pair of nurses simply for doing their job. Sounds like Adams is all caught up in his own ideology and failing to recognize the reality for so many troubled patients who actually DO have a loving environment with loving caregivers who still need more. Thank-you for speaking up to him! I am also bipolar. I have to play devil's advocate... My body couldn't tolerate the meds that the doctor ordered. Everything we tried just made me sick and non-functional. It was killing me. I've been forced by circumstance to find alternative treatment. Dr. Patch is NOT too far off base as a nurturing environment is part of successful treatment--however it is not all. As a nurse, I admit that it appears that the first line of defense in approaching any kind of problem in the body is to medicate. I felt confident that a free hospital to serve the poorest state, West Virginia, would find easy funding and that we would be built in four years. I smile writing this as we enter our 33rd year without having broken ground on the hospital. However, we have asked our architect to go to finished drawings so that we can begin building as soon as we have funding in hand. Seems like he's been 'planning' this with commitments for a very long time ...and no follow through. My experience with Dr Adams was very much the same as yours although not nearly so intimate. Although I have never really thought much of Robin Williams I was really impressed with his portrayal of this most caring individual. Having thought of myself as a bit of a rebel while in med school I was most impressed by Adams' character and when I found he was going to be coming to Podunk, Idaho my wife and I leapt at the chance to drive 100 mile to go to his lecture. Although I managed to stay until the end (hoping in vain for the punch line) my wife said she had never seen me quite so upset. His contempt for, and vitriolic comments aimed at conventional medicine or any one who insists upon using reason, logic and science in the care and treatment of all medical conditions made me so mad I was ill.
Obviously most everyone who read your article agrees that he is an egomaniac probably made worse with the movie about him. His big claim to fame is nonconformity, but that is one of the easiest things to do. The hard part is to not conform in areas you shouldn't, and conform in areas where it is appropriate. He has no idea where this line is drawn, but thinks he is right because he is famous. Hitler was famous - more famous than Mr. Adams. Are psych meds overused? I would say they are. But his generalization shows how short he is on reason and how long he is on hot air. He blew through a hospital in New Mexico I once worked at in 1997 or '98 and dropped off his book after taking a tour of the psych ward. He was nice enough, but nobody understood what the hell he was doing there. Just promoting his book? Looking for horrific psych ward conditions? Looking for a place to get treatment? And why did the hospital let him in there in the first place? The whole thing was strange. I agree with many, though, he definitely is manic as hell. So if you read his book, were you able to tell who was supposed to pay for the bandages and medicines in this ficticious utopian medical society of his? I just couldn't do it and finally gave up reading the book. I lived across the street from Patch, his wife, son and assorted other housemates in Arlington, VA, in the early 1980's when he was an emergency room doc at a local hospital (can't remember which one). He courted attention by, among other things, stretching a slackrope between trees in the front yard and tightrope walking from 5:00 to 6:00 p.m. most afternoons, just as most people were coming home from work. He and his extremely motley crew moved out of their large rental house in the middle of the night leaving it totally trashed (including holes in plaster walls) and owing several months rent. I couldn't believe it several years later when he had a best selling book. He's a con artist. What a F***ING A**HOLE, but, I'm not really surprised to hear this. Good zing by the way, really good zing! PS just linked you on my site, M.D.O.D., love your site. I'm uncomfortable with much of what I've seen in psychiatric care, but having said that, I'm astonished at the way people seem to adore Dr. Adams. I've found most of his stuff pretty weird at best, and obnoxious at worst. I suspect there's an element at which many folks find obnoxious, overbearing people attractive. That's the only appeal I can see in him. I think 'ol Patchy-Poo smokes crack...maybe that's why he hates pills. 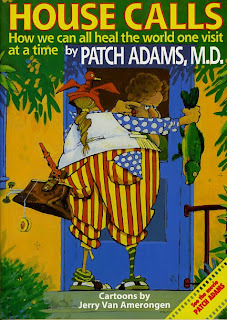 When I was in medical school in WV, Patch came to lecture our class. He was then building his institute; as I recall it was somewhere in the hills of West Virginia. We generally had the sense he was off balance. (Except for our off-balance classmates). I'm amazed that intelligent people can't accept that our brain, an organ, can be diseased. I can't love diabetes out of my ten-year-old son. I can love him more than life, and I do, but it doesn't make his beta cells kick in. Just so, we can love a schizophrenic, but it's easier to love them after a healthy dose of a psychotropic. (I'm an ER doctor who still loves Droperidol). Reality and movies are different. The Patch Adam in the movie was acted out because people want to see only the nice things. The Patch Adam in real life is like us; complete with a mind, feelings, heart, soul, spirit and all that. I think what the real Patch Adam wishes to see that we can be more human in our approach with the sick. And we must always remember that no matter what title we are called by, there is always a difference between a doctor and a nurse. But can't there be some sort of happy medium between the love and care and community interaction that Adams is professing AND the psychotropics that makes mentally ill people's neurotransmitters fire appropriately to allow for such interaction to occur within normal guidelines? By the by, there aren't any letters behind my name!